There are so many fascinating facts about moon that leaves you awestruck. Have you ever wondered how moon was formed? How would it be in the moon? The thoughts about moon is just amazing. Moon is a sign of calm and peaceful nature. The lunar months are dependent on the phases of life. So there are four lunar months. 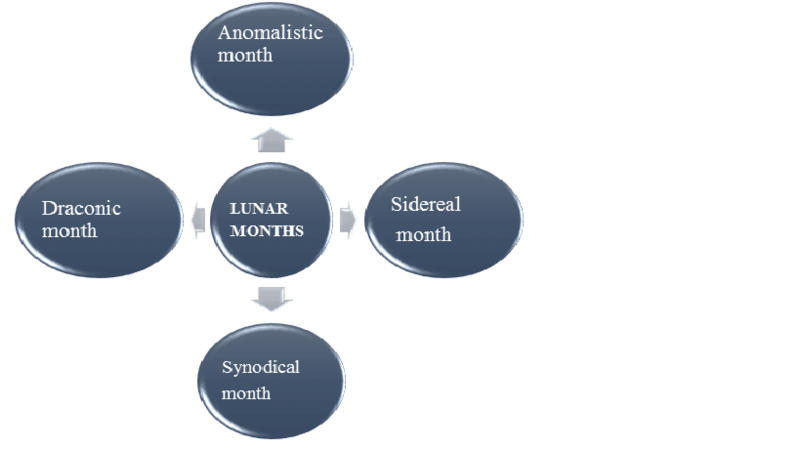 Anomalistic month: The orientation of moon is not fixed. It is more elliptical. Satellite of earth is placed at a distance. The least distance between earth and satellites including moon is known as perigee and largest distance is apogee. Time taken by moon to make a circle around earth is measured from one perigee to other. It takes 3233 days for this. The anomalistic month is known as the longest month. Sidereal month: The revolution of moon around earth is measured with reference to stars. So moon takes 27days 7 hours 43 min 11.5 seconds for returning to the given node among stars. The moon’s orbit period with respect to the celestial sphere is known to be the sidereal month. Synodical month: Here sun is the reference point for the moon to revolve round the earth. Synodic month is much longer than sidereal month. It is longer because the moon and earth system is orbiting around the sun in same direction as that of moon revolving the earth. It takes 29 days 12 hours 44 min 2.801 seconds for moon to complete orbiting around moon with sun as reference point. Draconic month: Nodical month or draconic month is the moon orbiting the earth by passing through one of its nodes. Moon takes lesser time to return to the same node. It is lesser than sidereal month. It takes 27 days 5 hours 5 minutes 35.9 seconds. There is no dark side of the moon, it’s a myth. It’s a common perception that the part of moon which is not seen is dark. And only the side visible to us has some light. But it is totally a myth. We never get to see the other part of moon because the moon is also rotating like the earth. Moon’s rotation time along its own axis is same as that of orbiting around the earth. Moon does not possess any atmosphere as it doesn’t have air. Since gravity of moon is very weak to hold the atmosphere. It has six times lesser gravity compared to earth. And since there is no presence of air then there will be no sound too. The moon though contains helium and neon gases. Moon is responsible for rise and fall of tides. The moon’s gravity pull is what causes the tides. This gravitational pull causes two bulges in the oceans. One bulge by side facing the moon and the other is due to opposite side. 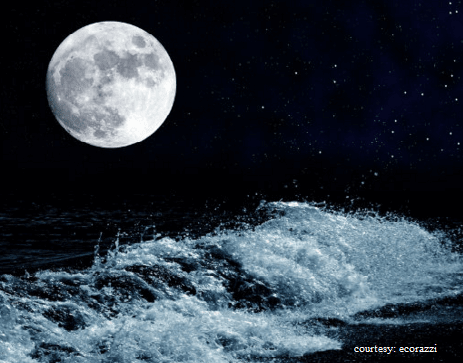 Tides get higher on full moon and new moon days. On these days the earth, moon and sun are all aligned in same line. Moon was created by violent collision. Apollo astronauts bought some rocks from moon which proved the formation of moon by collision of matter. It is said that some object which was approximately the size of mars, hit earth in the early history. Some kind of debris was formed which was moving round the earth. These debris clustered together to form the moon. Our solar system consists of much bigger moons. There are many moons in our solar system. Earth’s moon is one third less than earth. The biggest moon is Ganymede, revolving around Jupiter. It is much larger than that of mars and mercury. 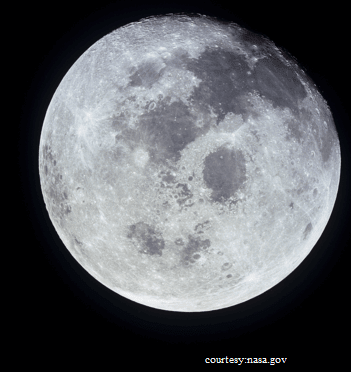 Earth’s moon is fifth largest in among natural satellites present in our solar system. There is water present on moon. Astronauts have found traces of water on moon. The lunar water is not in the liquid form due to no presence of atmosphere. It is in the form of ice being found in the craters of moon. The ions of water [H2O] may be present in forms of hydrates and hydroxides bound to lunar minerals. 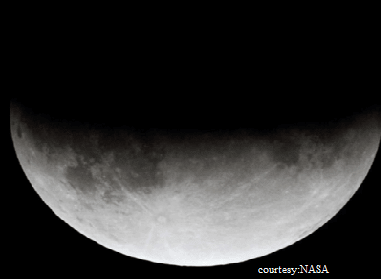 Earth’s gravity pull causes quakes on moon. 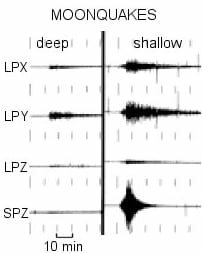 There are different types of moon quakes. On earth the quakes may last for few seconds or minutes. But on moon the vibrations just keeps on going.